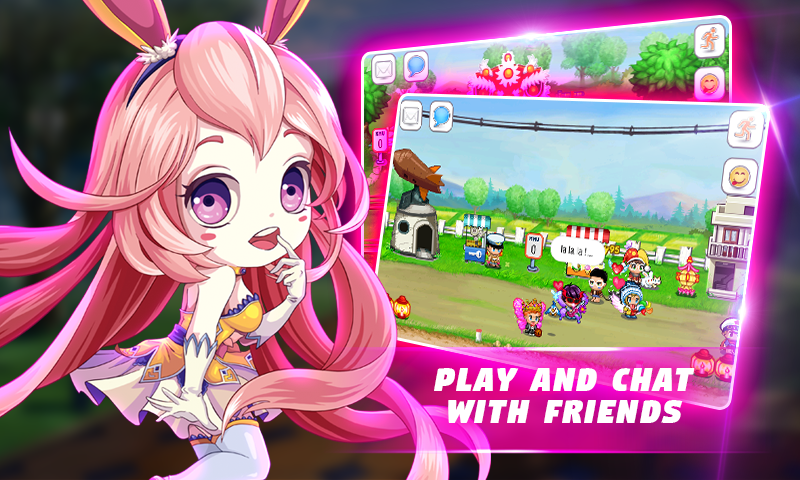 A fun way to IM chat and play games with new friends around the world. 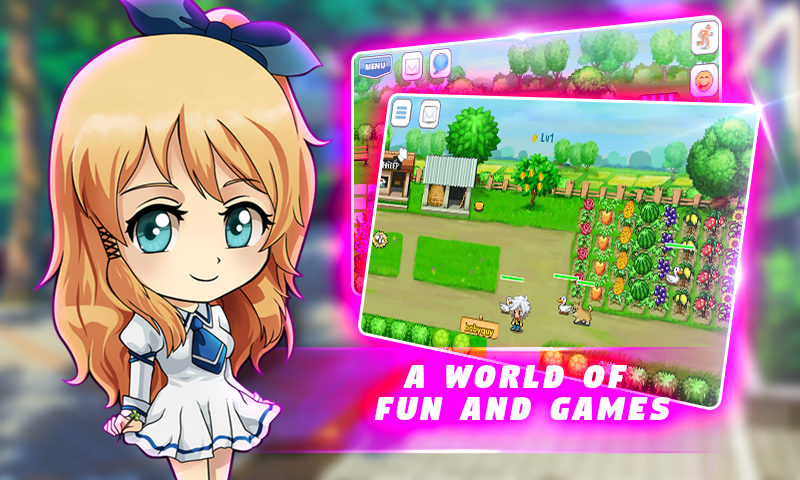 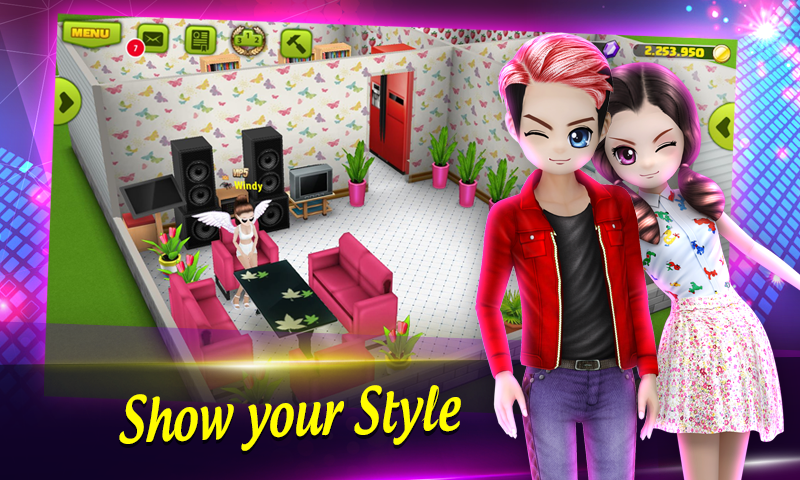 Whether you meet friends in the park, work on your farm, fly to Hawaii or go fishing, you will find each zone filled with stunning graphics and exciting social games to play with your friends. 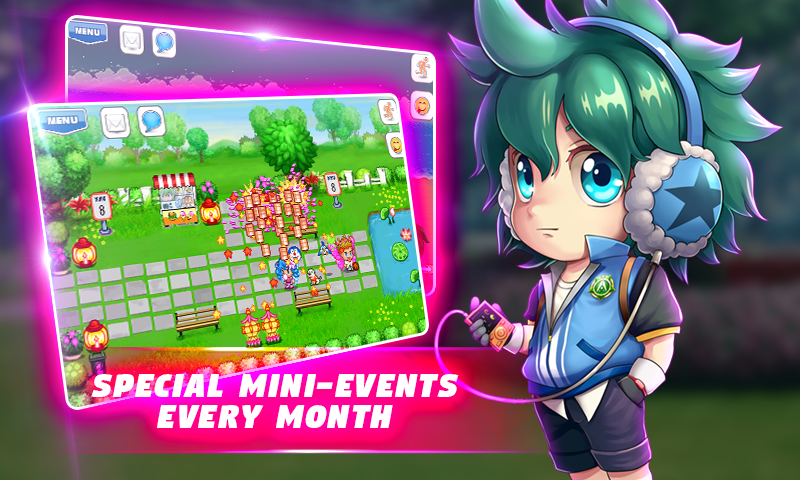 Special mini-events are launched every month, allowing you and your friends to enjoy new adventures together - no matter where you are! 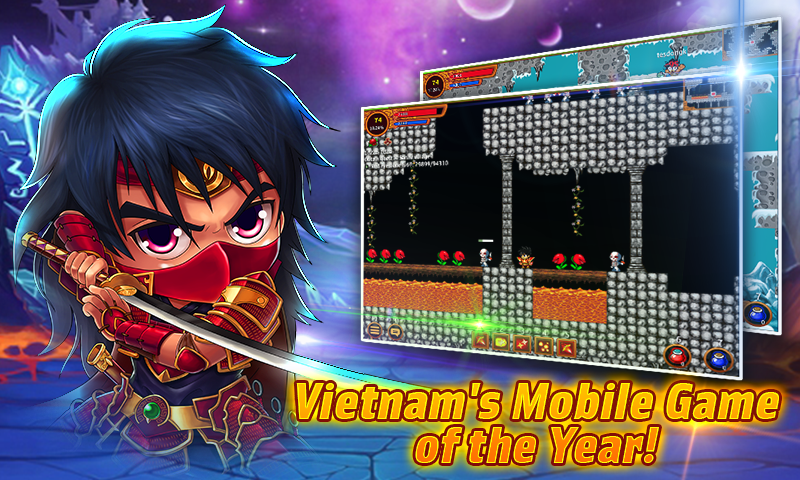 VIETNAM’S MOBILE GAME OF THE YEAR. 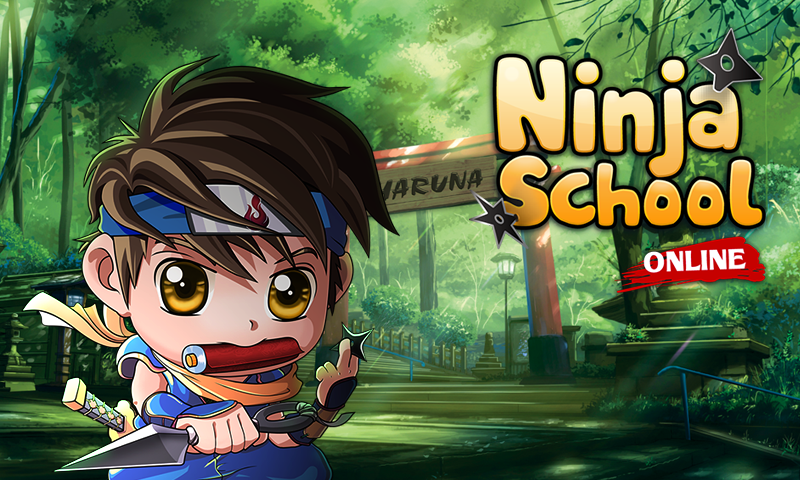 As a young ninja, you must select one of three schools to study and practice. 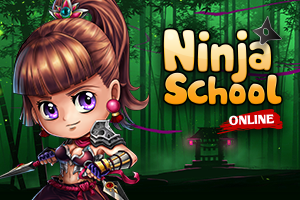 Your masters are patient and wise, and waiting to teach you ancient secrets that have been passed down from for thousands of years. 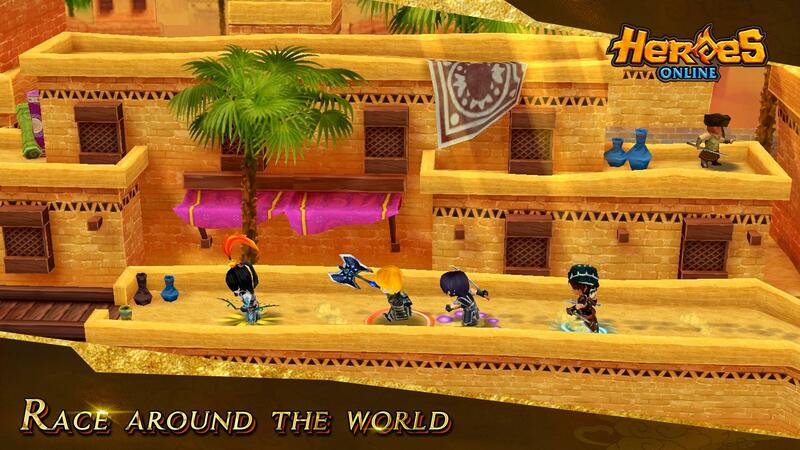 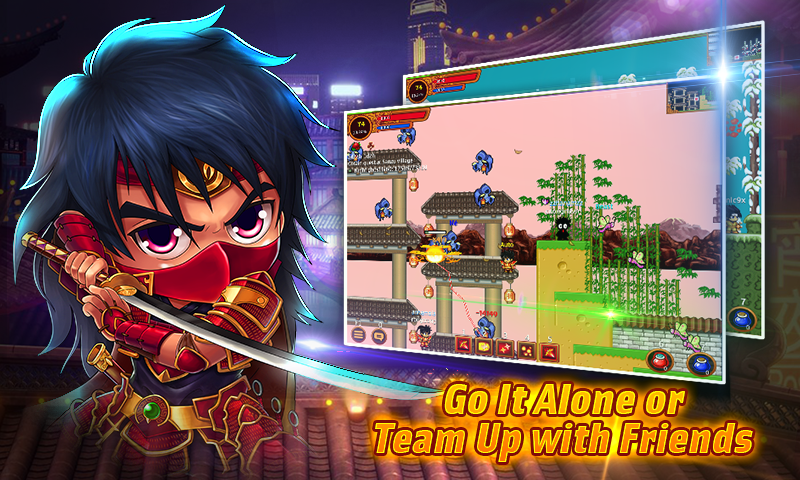 Go it alone or team up with friends to unlock and explore over 100 new and exciting areas. 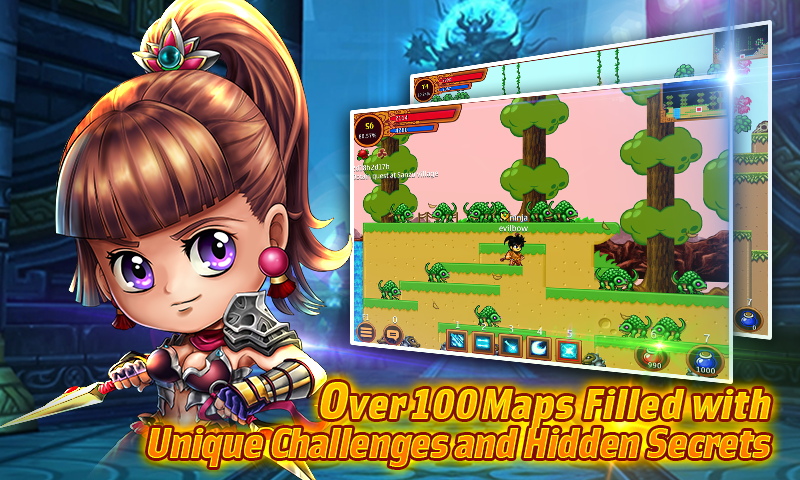 But beware, the series of challenges and obstacles will become increasingly difficult requiring you to use past knowledge and special skills. 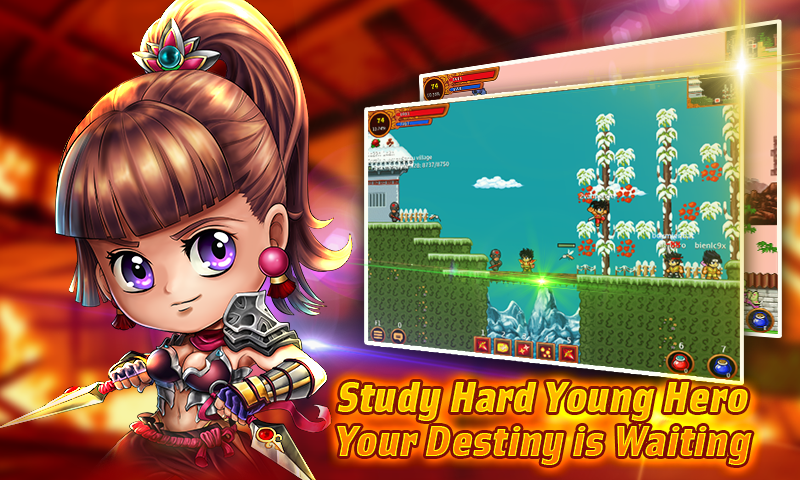 Study hard young hero, your destiny awaits you! 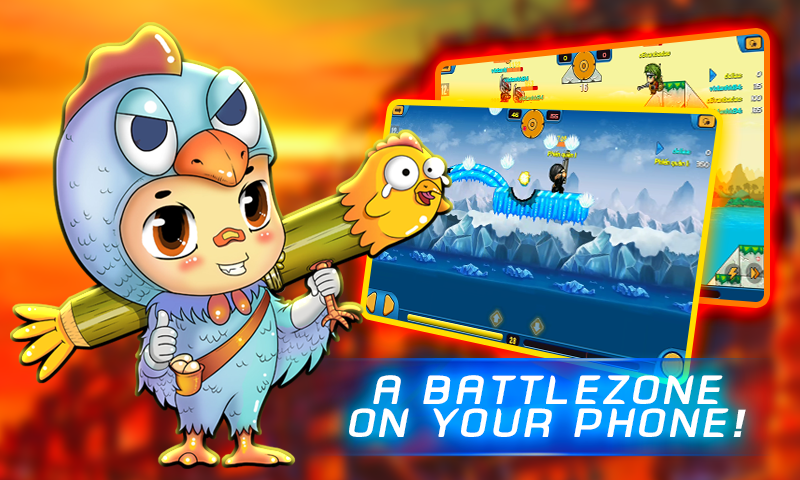 TURN YOUR PHONE INTO A BATTLEZONE! 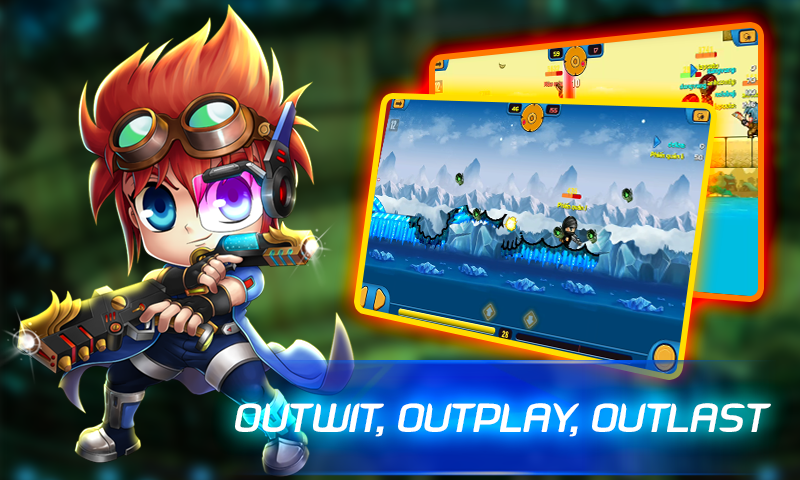 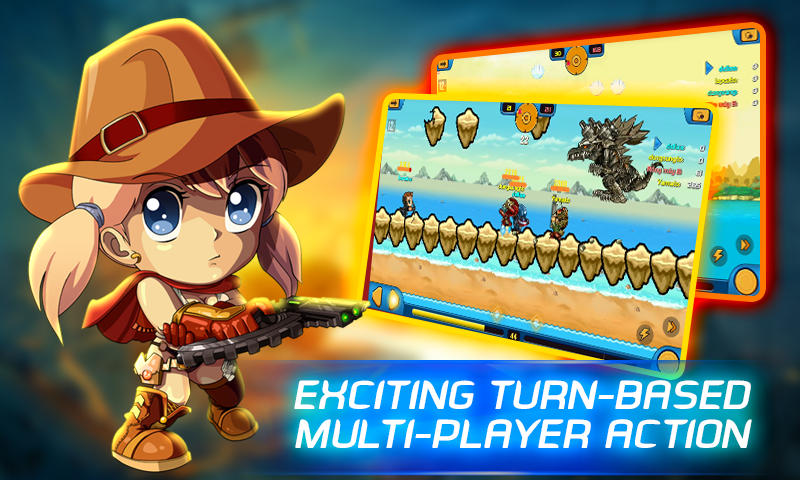 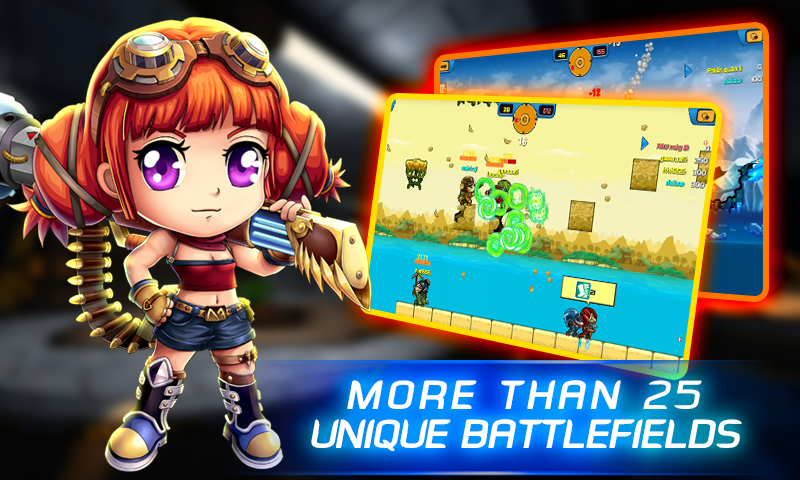 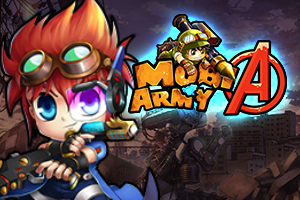 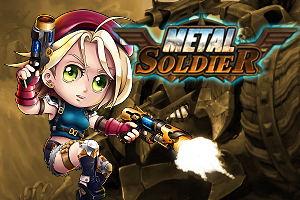 MobiArmy World is a turn-based, multi-player game that fans of Gunny and GunBound are sure to love. 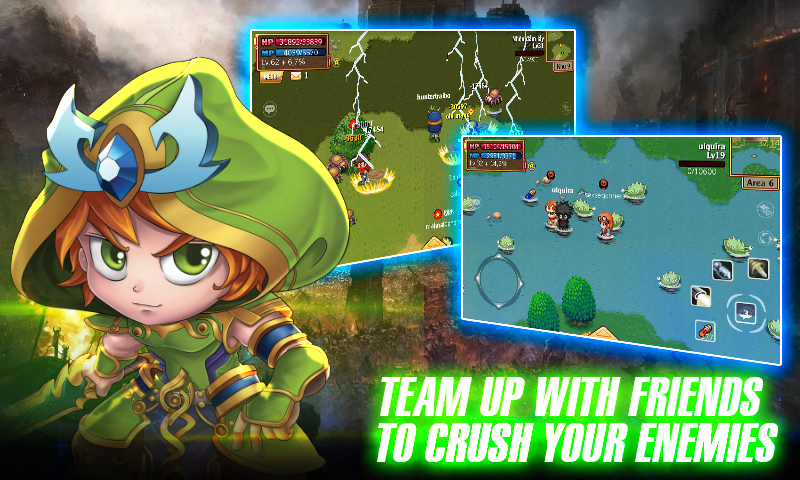 With over 25 unique battlegrounds, the delay turn system and battle outcome is always changing, and requires you to re-think your strategy to factor in a host of outside conditions, including terrain, wind, elements, types of weapons and opponent strategies. 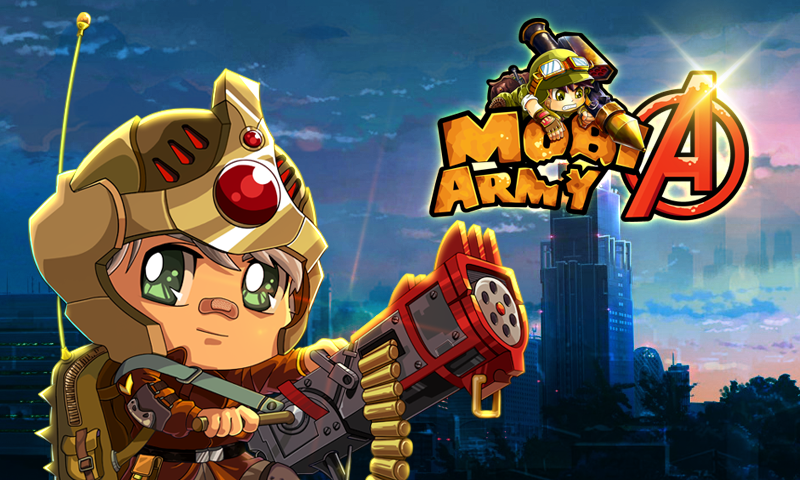 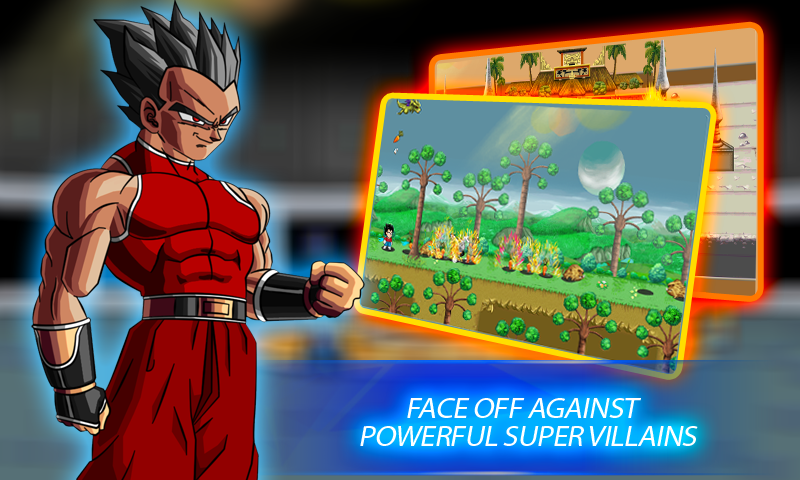 Whether you choose to battle each other or team up with friends to take on a variety of super difficult bosses, MobiArmy World ultimately provides players a unique and action-packed gaming experience every time. 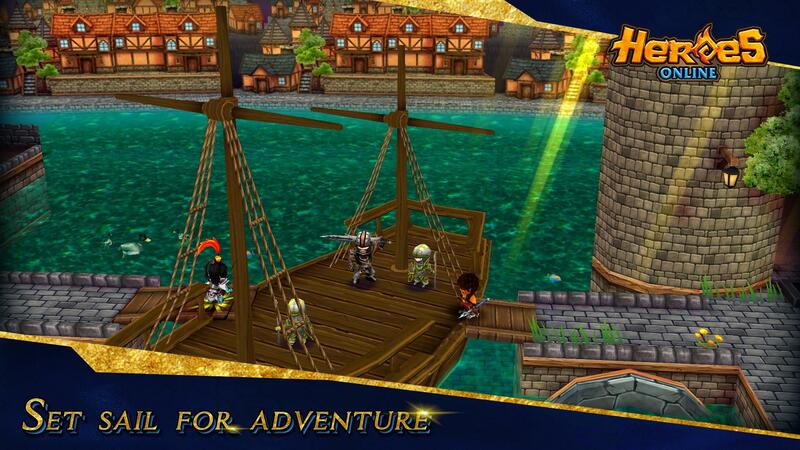 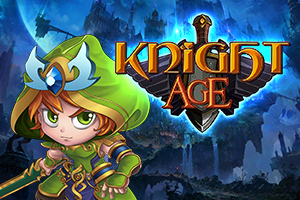 Knight Age is an action / adventure online game that carries you back to a time of castles and monsters, and offers dynamic graphics and compelling story lines that are sure to please fans of RPG and Zelda-type adventure games. 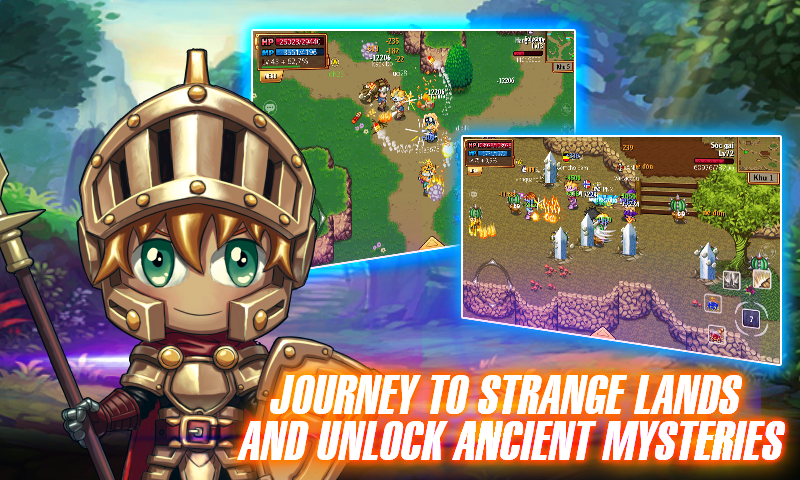 As a member of the Knights of Freedom, it is your sworn duty to explore the unknown areas surrounding your kingdom and to vanquish the evil monsters that dwell there. 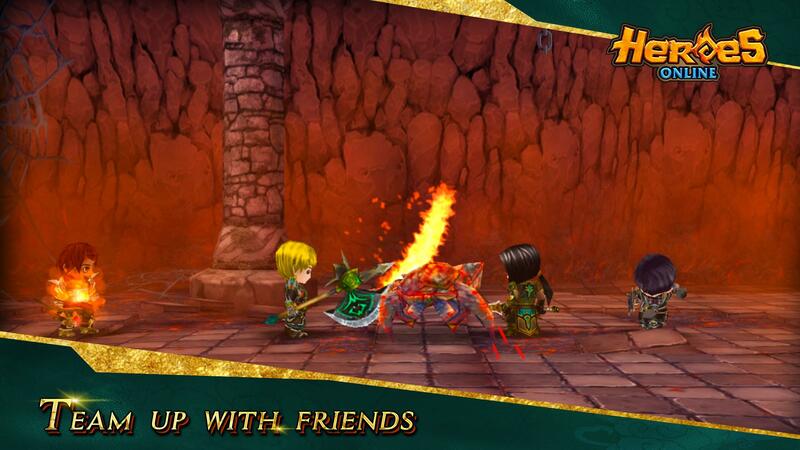 Lock-step quests will progressively get more difficult and will require the keenest minds and bravest hearts to solve. 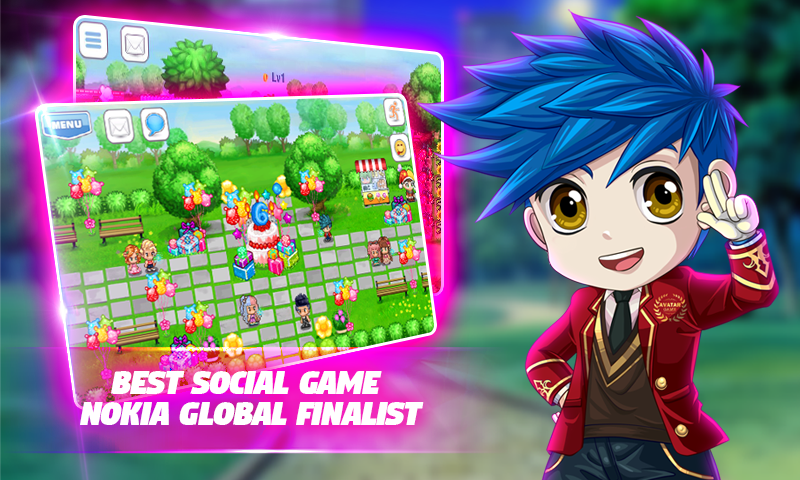 As a social online game, these challenging quests are mixed with a series of player vs players battles that will have you competing against friends and foes alike for daily rewards and special items that will allow you to rule the land. 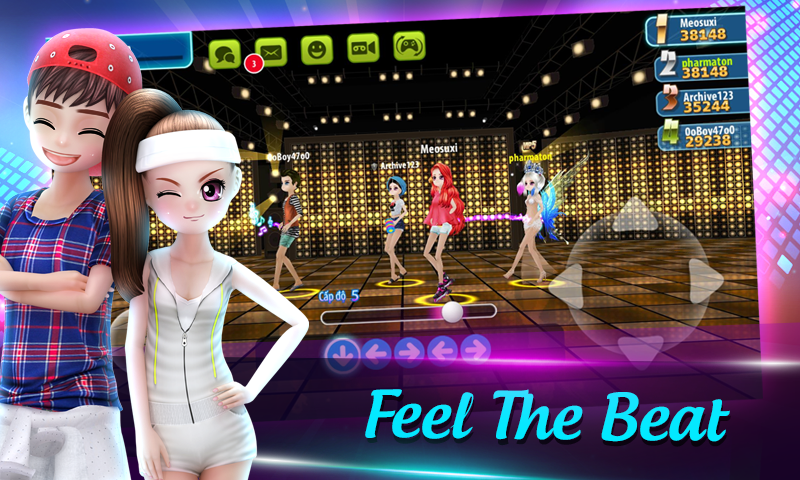 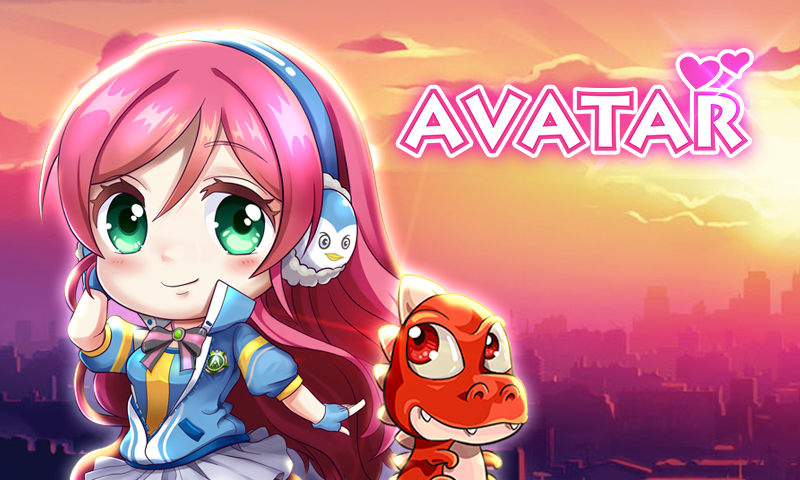 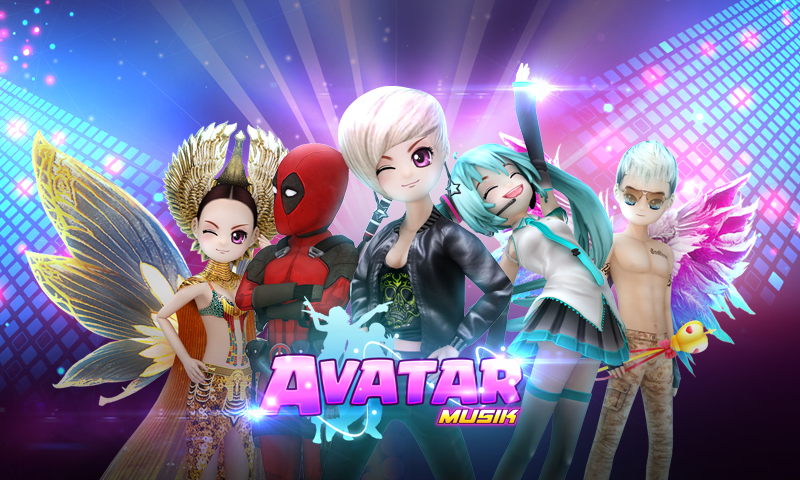 Avatar Musik is free to download and will play on the most popular smart phone devices, including iOS, Android, Windows and tablets. 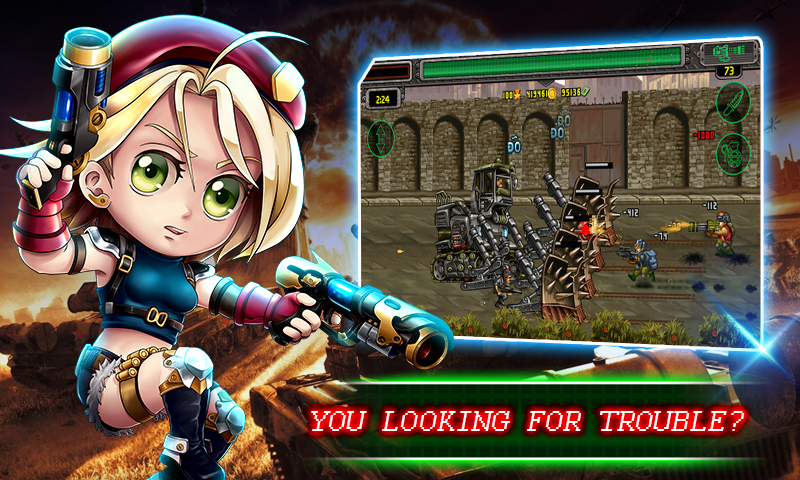 I don’t know who you are… I don’t know what you want… but if you came looking for trouble, you came to the right place. 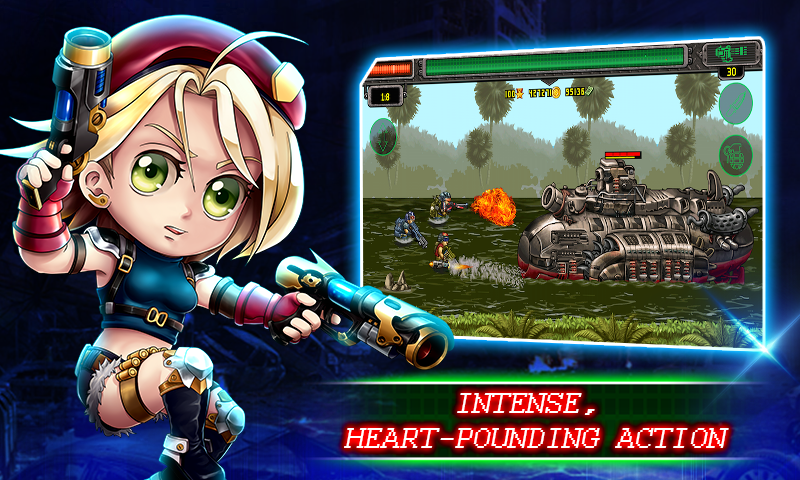 If you like fighting games, like Contra or Metal Slug, then you are sure to love X Force Online! 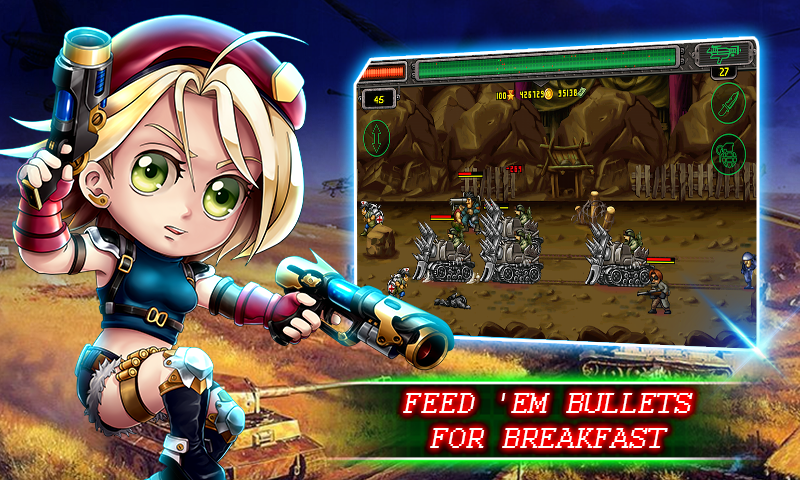 But as an an action-packed MMORPG, players can team up with friends to neutralise the evil atrocities just waiting to feed you bullets for breakfast. 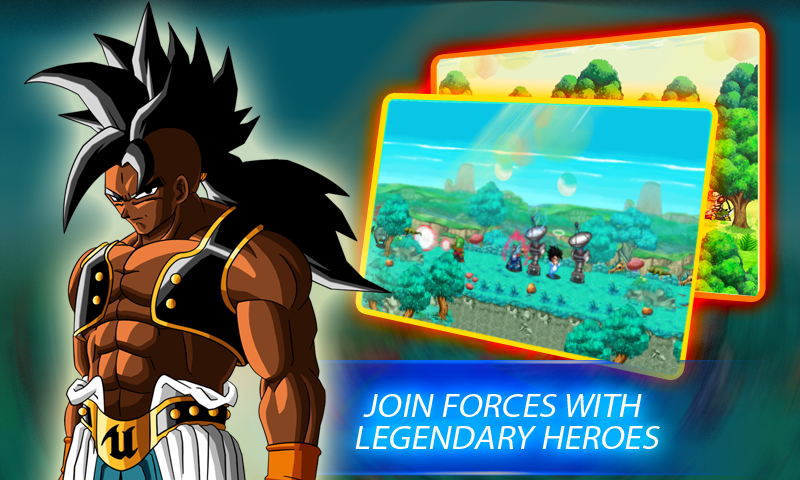 Just remember, you wimps need to be at least 12+ to play. 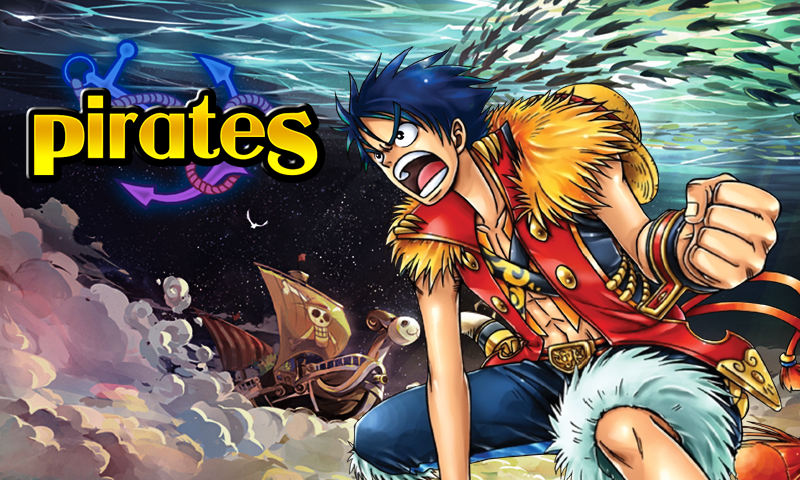 The Age of Pirates is here... are you ready to explore the open seas? 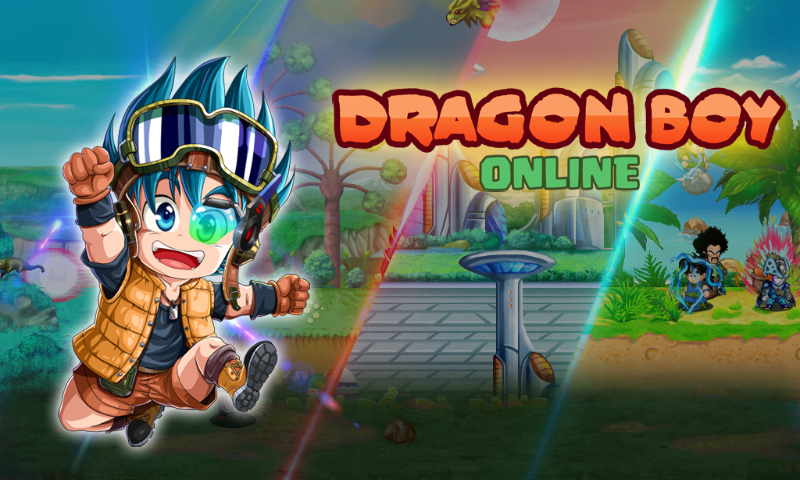 Dragon Boy allows players to team up with their favorite anime heroes in an exciting MMORPG universe. 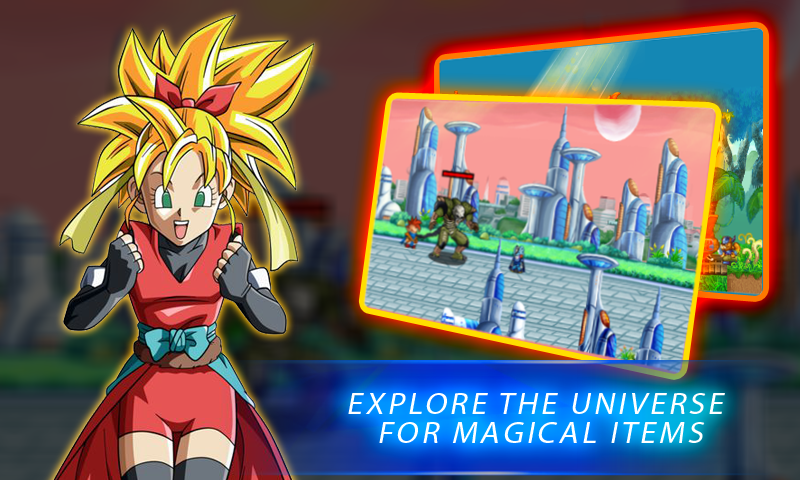 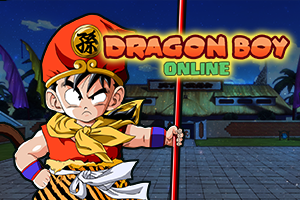 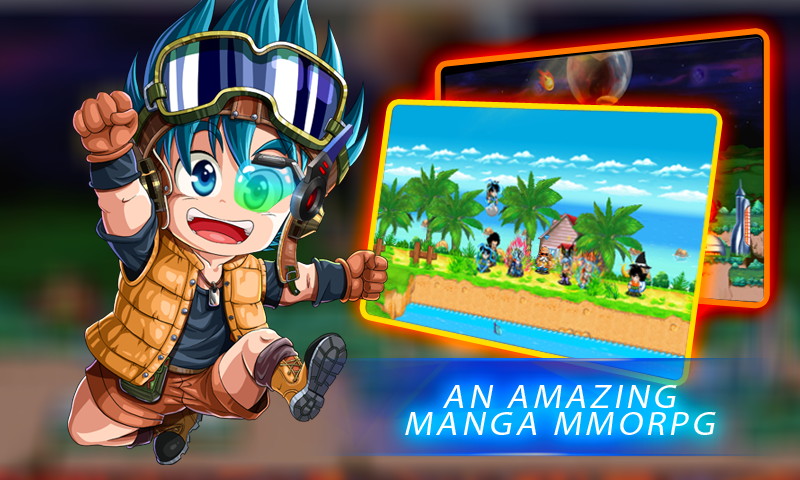 Join thousands of players to explore the planets fo Earth, Xayda and Namec in a quest to find and collect magical dragon balls. 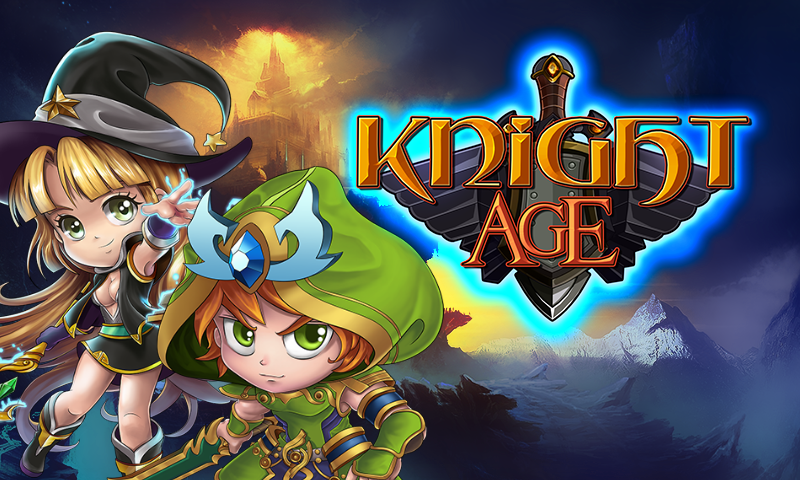 These powerful items are crucial to your success, as you battle against other teams in the fight against the most powerful forces of evil the world has ever seen. 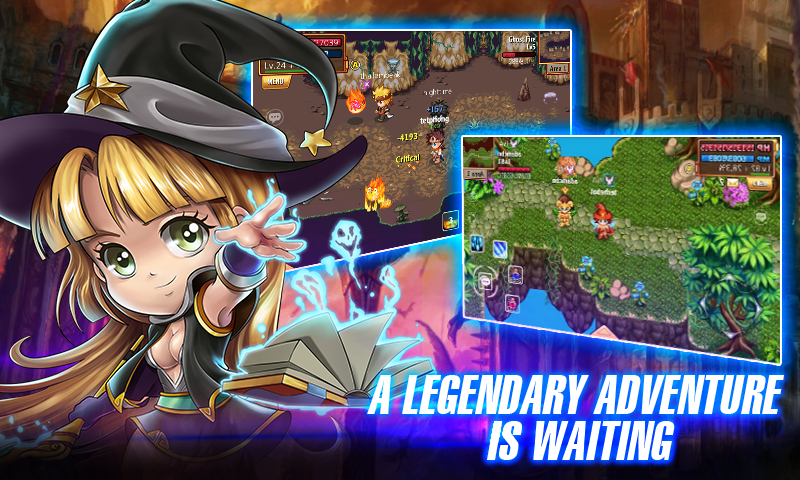 An epic mobile adventure is about to begin.. team up with friends, battle your enemies and race around the world for clues to unlock the secret lair of Ohiron, the Lord of Dragons. 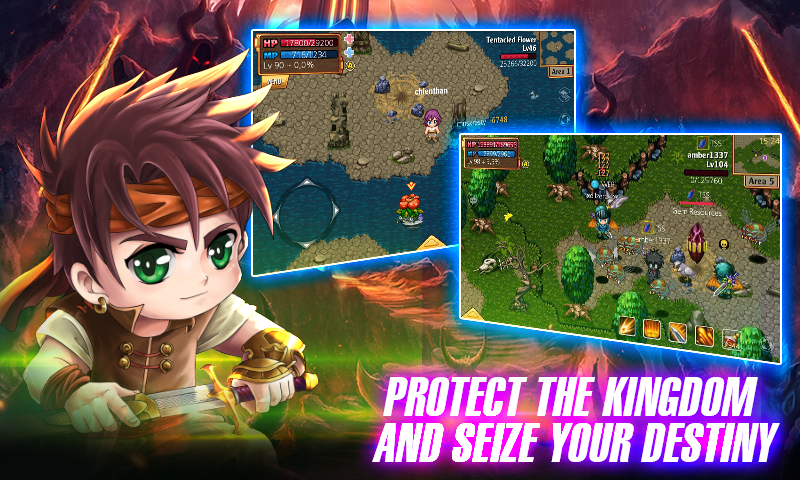 The world has been thrown into chaos after Ohiron emerged from the shadows to wipe out an entire generation of heroes. 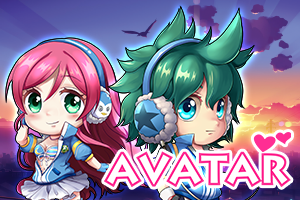 From the ashes of defeat, four teens from different lands must combine their unique abilities to overcome great obstacles and track down this immortal beast. 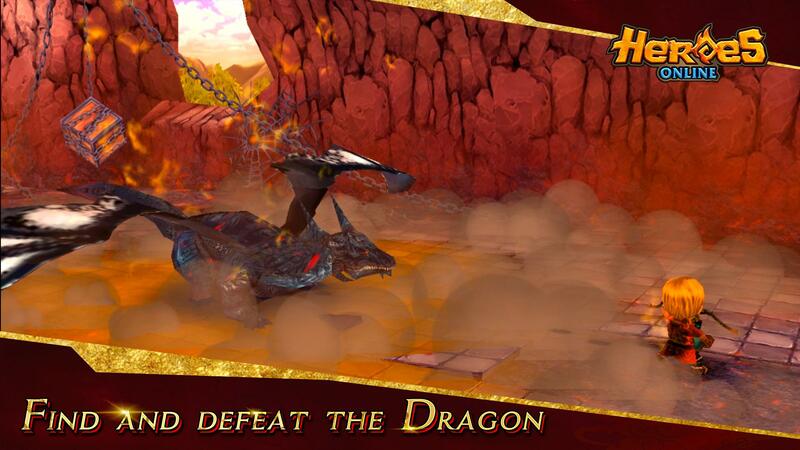 Are you ready to unite with friends to fulfill your destiny and become the First Dragonslayers? 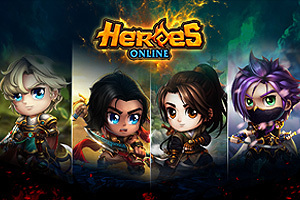 - 4 Unique Characters : Warrior of Light, Eagle Warrior, Night Assassin and Prince of Persia. 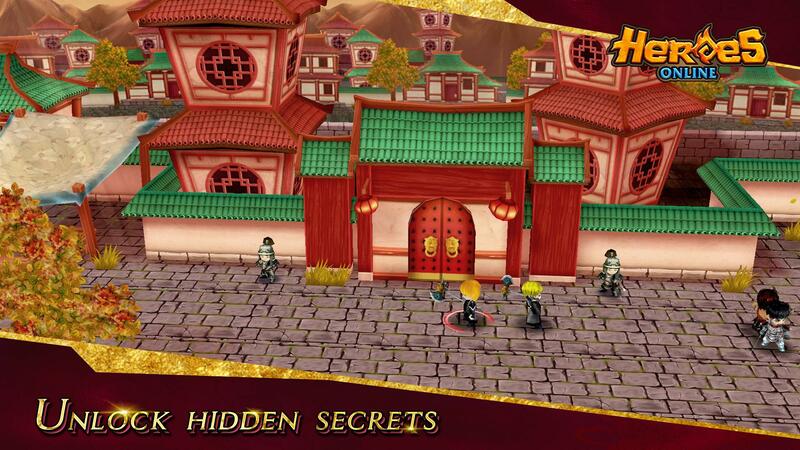 - Lock step Quests : explore and unlock secrets on 24 distinct maps across Europe, Asia and Persia. 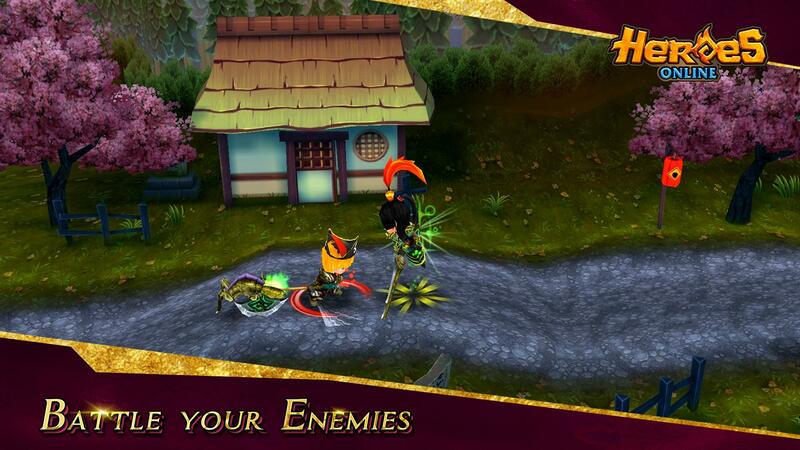 - Weapons : Two weapon attack combines with elemental magic to offer thousands of strategic attack combos. 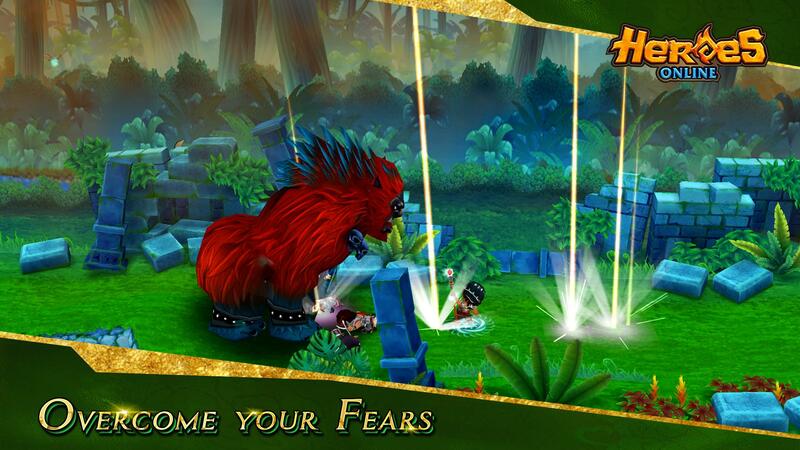 - Strategy : Your decisions directly determine your progress. 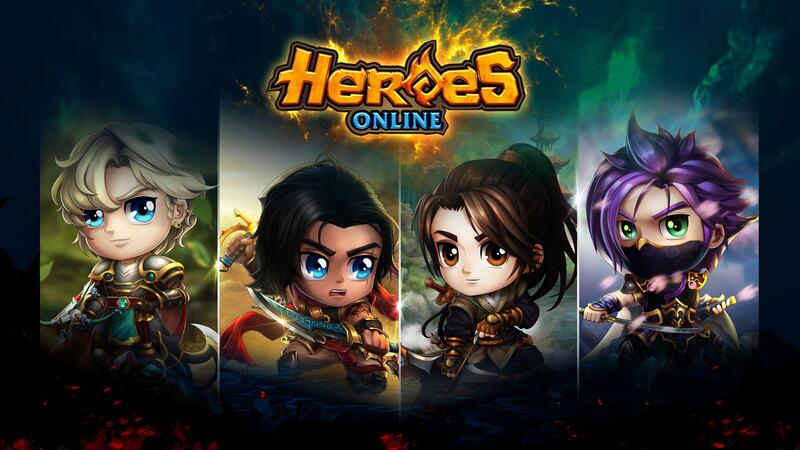 - MOBA: Attractive PvP Battlefield Tournaments to boost hero ratings. 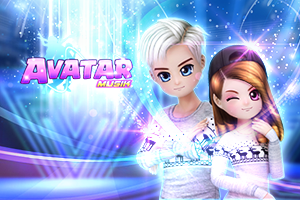 - Multi-languages : Vietnamese, English, Indonesian, Spanish, Portuguese Brazil, Khmer, Thai and Russian (with more to come). 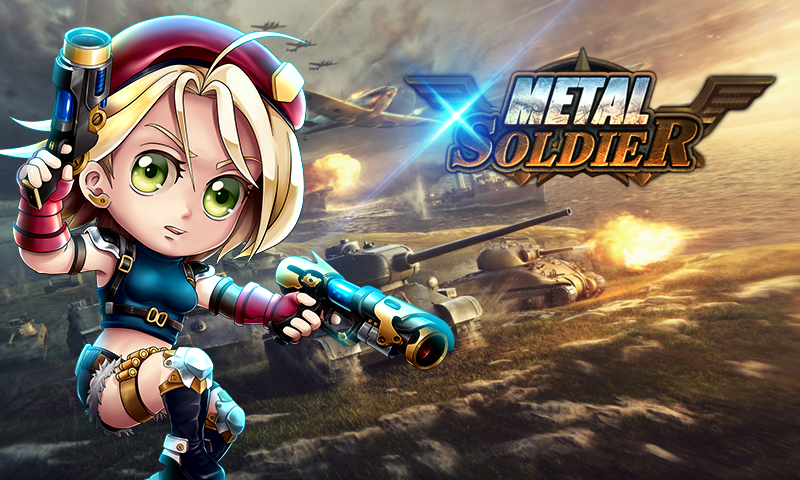 *** CLOSED BETA : This is an unreleased game so please expect some bugs. 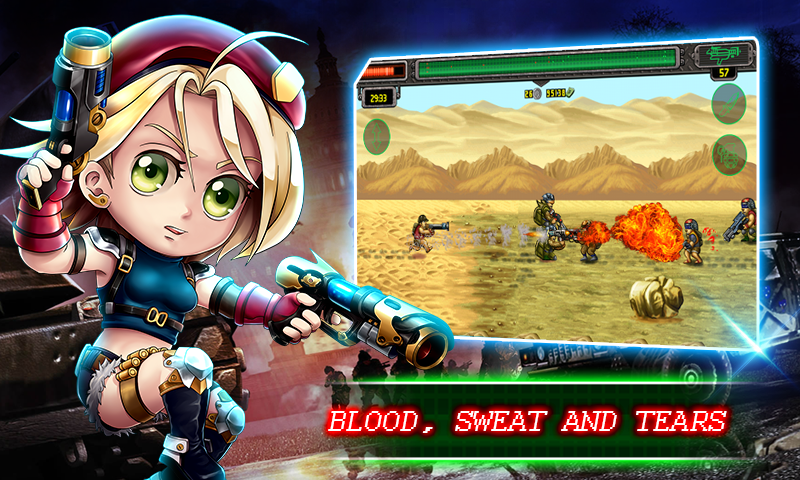 If you see any problems, please share feedback at scott.brewer2016@gmail.com.